My name is Alisha Lockleer. 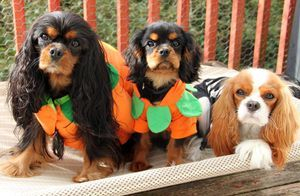 I am a small hobby breeder and exhibitor of the Cavalier King Charles Spaniel. Originally based in Lynnwood, WA, I recently made the decision to go back to school at Washington State University in Pullman, WA. I am working on my bachelor's degree in Digital Technology and Culture and should be finished by the end of 2016. Being a small breeder, I currently own or co-own a total of four Cavaliers: Coco, Penny, Ammo, and Arrow. Because of my small numbers, I do not have litters more often than once or twice a year, at the most. I am currently a member of the Cavalier King Charles Spaniel Club USA, the Cavaliers of Puget Sound, and the Cavalier King Charles Spaniel Club of Canada. 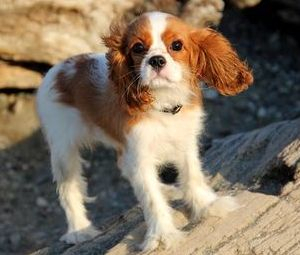 I also actively participate on a few community forums of Cavalier breeders throughout the world. My goal with my Cavaliers is to produce healthy, long lived, temperamentally sound, structurally correct and beautiful dogs. All breeding dogs in my home are always health tested to my high standards before being bred, and every litter is carefully planned far in advance. Coco is my foundation girl and first show dog. 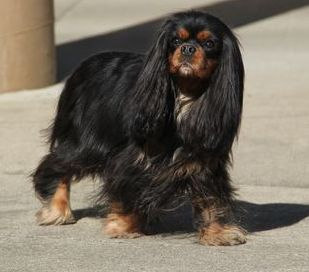 She was bred by Penelope Liebeler and Rick Fellows of Pensrick Cavaliers, and has been expertly handled and shown by Julia Johns and Malynn Johns of Ringhill Cavaliers. A special thank you goes out to my mother-in-law, Susan Lockleer, for without her support and encouragement, Coco and I would not be where we are today. I also would like to thank Penelope and Rick for trusting Coco to me, and Julia and Malynn for showing Coco in the breed ring and in the Juniors ring. All these people combined have been a major part of TeamCoco! Coco has proven to be the most incredible first show dog anyone could have ever asked for. She has taken us all on an adventure of a lifetime and we could not be more proud of her. Please take a look through my website to get to know me and my dogs better!